Modern room features satellite TV, minibar, and a private bathroom with hairdryer. 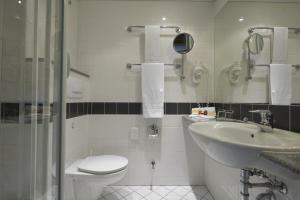 Modern room features air conditioning, minibar and a private bathroom with a hairdryer. This room offers extra space. Rooms feature a quiet location towards the inner courtyard.